South Carolina LowCountry Nature Journaling and Art: Honored and Thrilled! I'm both honored and thrilled that Kate asked me to be a part of this project and proud to say five of my journal illustrations are included within its pages. 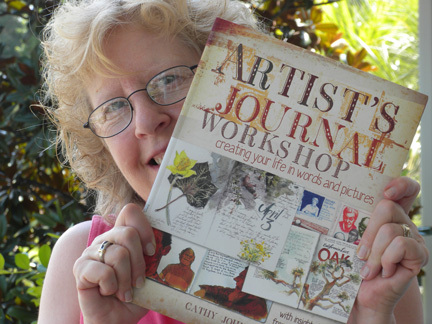 I'm also a contributing author on the companion blog: Artist's Journal Workshop. I can't wait to dive in and read every word. Just thumbing through, the content is astounding. North Light Books did a fantastic job. But the 'Best' award goes to Kate for all her hard work, dedication, and generous spirit. I know I can speak for all 26 international artists, invited to be a part of this project, when I say "Thank you, Kate, for creating a perfect book that not only shows how much fun, rewarding and therapeutic keeping an artist's journal is but also how to create one of your own." Don't miss your own adventure - this wild ride around the sun! 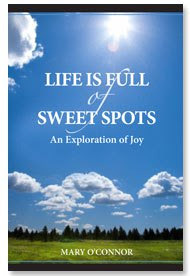 To peek inside and order a copy of your own, click here. Congratulations!!! I am still waiting for my copy but think I saw that it shipped. Hoping it comes before we leave to go to Maine so I can take it with me!!! How exciting! I just ordered mine today. Can't wait for it to arrive and see everyone's wonderful work ! Thanks, Carol! I sure hope your copy makes it in time, too. Nothing like a vacation to sink into a book - especially one with all this inspiration! Aw shucks, Michelle,,,, thank you!! ...and another CONGRATULATIONS!!! What a thrill. I have a backlog of your posts to catch up on but from what I can see - Wow! I am LOVING what you're doing now. These botanical journal entries are delightful and exquisite. I'm so very pleased for you! (And you look pleased and adorable behind your new book!) I hear that North Lights Books is a super fabulous publisher to work with. Another fine example. Thanks, Suzanne! I love your work and your words mean a lot to me.